I am having a new love affair with Washi Tape !! It's popping up everywhere and it's so versatile and gorgeous ! I had some plain wooden pegs that I had been painting recently and decided to 'Washi Tape' them up ! It was super easy too, just rip off the length you need and stick it to the peg! Then turn it over, and cut of the excess ! Stick the edges down if you have a little overlap ! You could leave them like that, but I cut a slit where you see the silver wire and tucked it down in the grove as shown below ! I hope you have fun with some of these yourselves and make sure you show me all your snazzy designs ! I have more Washi tape on order from Amazon, I can't wait for the delivery ! Let me know your favourite places to buy it too please! This came from The Range ! 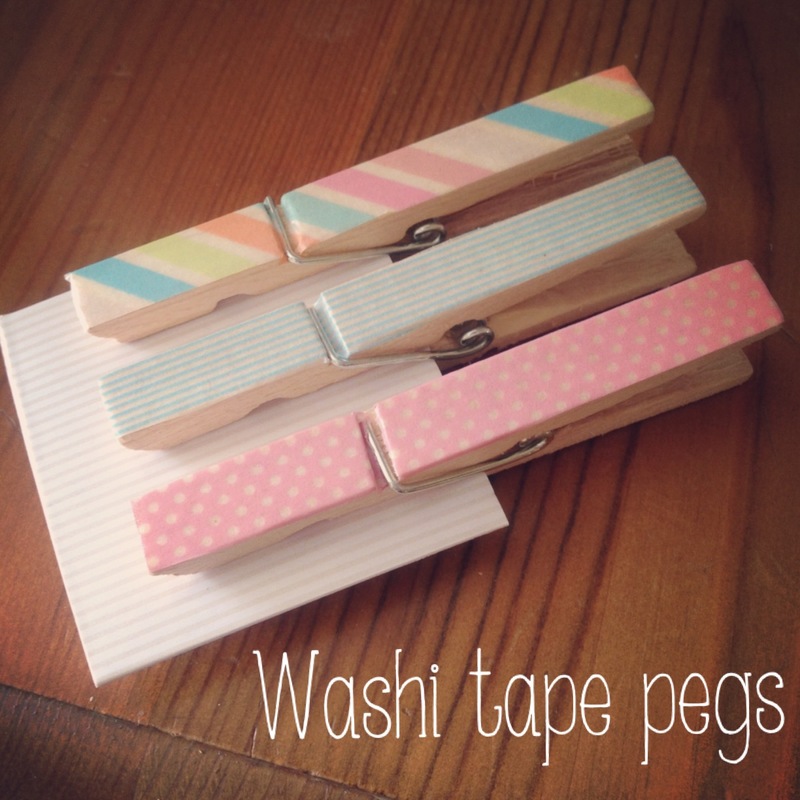 Ive just ordered some washi tape and will be trying these out. Thanks for the great post.